Avail special deals on sending above AUD 10,000. Click here to know more. About Remit2India Our Offerings How it works? 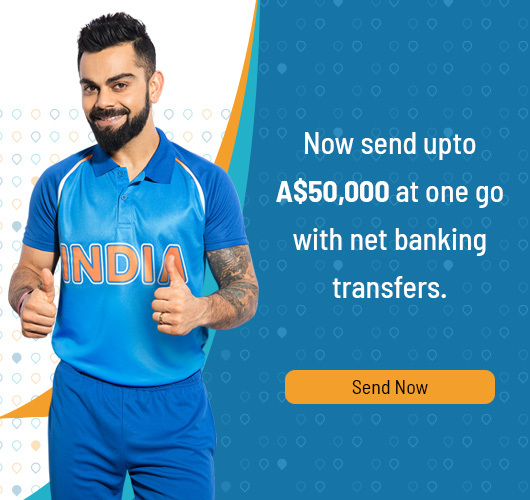 Send money from Australia to your loved ones in India within seconds with instant transfer service. 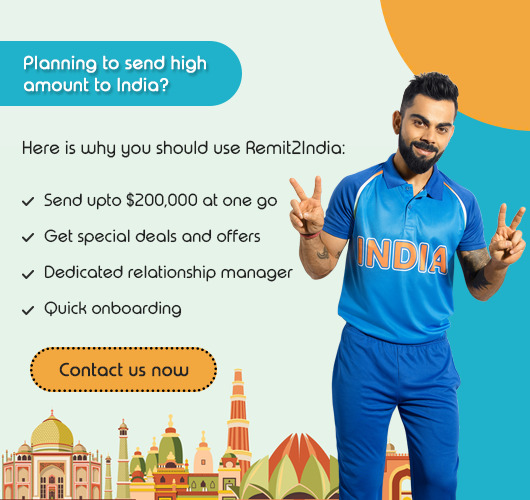 With Remit2India, you can send money to India from Australia online without any hassles. The customer service is available 24X7 to help you with any queries you may have. Remit2India is the best way to transfer money online from Australia to India. Just choose the payment mode, select your receiver and send the desired amount instantly. Remit2India offers the best exchange rate with excellent service. Remit2India offers Net Banking Guaranteed Rate, Net Banking Express Transfers, Wire Transfer and Net banking Indicative Rate options for sending money online. You can select the preferred way depending on the requirement like family needs, investments, loan payments, buying property, etc. 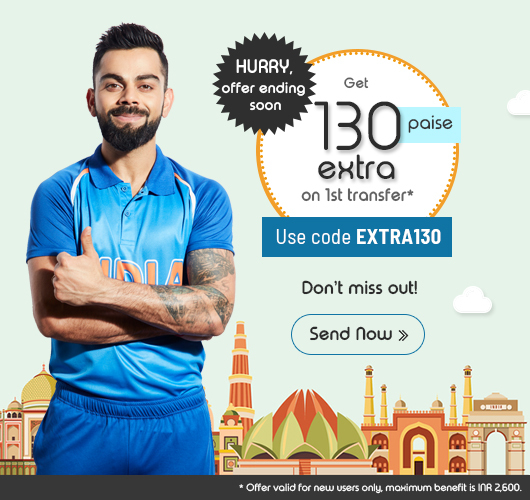 Fastest way to send money to your loved ones with Instant money transfer to India. Remit2India services in Australia is offered by Unimoni Pty Ltd, an Australian entity having its Head office at Suite 1, Level 4, 1 Wentworth Street, Parramatta, NSW 2150. Exchange rate is fixed at the time of booking your transaction and you will know the exact amount that will be credited to your receiver. Exchange rate displayed while booking your transaction is not fixed. The final amount credited to your receiver may vary due to fluctuations in the exchange rate.